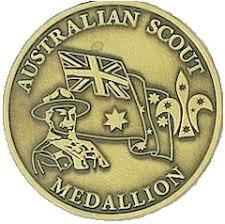 This week we will be riding our bikes from the Scout Hall to the campfire circle at 15th Essendon Scout Hall in Fairbairn Park for the presentation of the Australian Scout Medallion and Adventurer Cord to Matthew Davis. Following the presentation and sausage sizzle we will cycle back to the Scout Hall. Parents and friends of the Group and members of the other sections are invited to join us for the presentation. Please ensure that your Scout’s Care Monkey profile is up to date.